Home Sweet Home: My Project for January 2015? - Declutter! My Project for January 2015? - Declutter! When I was still starting a career and and just acquired my own home, I love to buy anything for the house. I wouldn't leave a store without me buying a single thing for my home whether it be a decorative piece, a kitchen aid, a piece of furniture, beddings, linens, etc. I don't really care whether it is a necessity or of good quality. I just keep buying. Fast forward, I've discovered that I have a lot of kitchen tools in the kitchen cabinets and some other things that are just kept and not being used. Actually, I often forget what I buy the moment I placed these in the storage cabinets already. Then later on, me and my husband would realize the necessity of having more and more storage cabinets and shelves to hold our growing stuff at home. It would be a different thing this time as I've already sorted out the things inside every storage cabinet I have at home. I choose and clean the ones that I think would still be good for current and future use. Those that are already worn out were thrown and the ones that are still usable but I don't need were donated to relatives. Day by day, I see to it that I am able to declutter one or two cabinets at home and I am positive that by the end of January, I'm totally done with decluttering and organization. To help me get through with this objective, I bought some plastic storage boxes. This is not cheap huh.. and I need quite a lot, so I've decided that I would just buy few first for the more important ones and I would buy a piece or two every month until I already have enough for my storage and organization projects. I actually bought few of various sizes to fit the the things I intend to store. So this is it! I am looking forward to becoming clutter free by the end of January. De-cluttering is such a worthy investment of time and I agree with you that we don't have to keep things that wouldnt be much use anymore. Having minimal stuff and clutter free house give me peace of mind. Who else who could be at ease or comfortable for a messy environment? I think none. Your mind is at peace, at rest when you see things in order, when they're in place. In short, they're properly organized, put to their respective places and they're not scattered all over the place. I'm a keeper. I keep everything I can keep from receipts to damaged stuff! Kaya parami ng parami mga gamit namin. I wish I can start to declutter also. I love declutter but I cannot declutter because I always get separation anxiety with my things, haha. 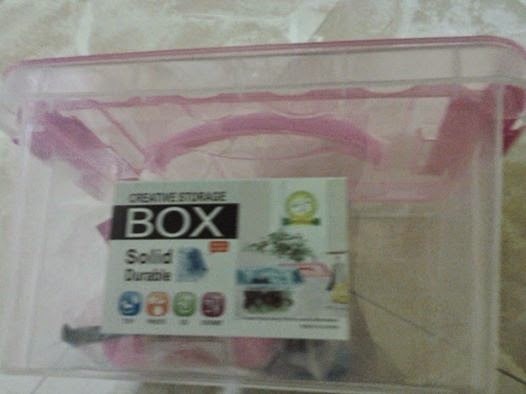 But I love to organize and I also bought plastic storage boxes for our yarns. Kulang pa nga, hehe. 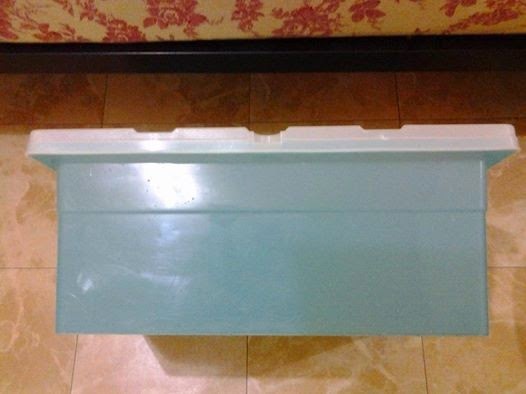 I also bought plastic storage for my daughter's toys. I love decluttering and living minimalist. I think I need to declutter but I cannot think which needs to be first in the list. I too have started decluttering the house and got some new storage containers in so that everything will be more organised :) Way to go!! 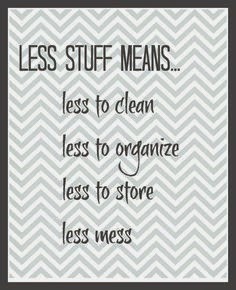 De-cluttering is something we won't do anytime soon! Why? well, I have two kids at home and we are still preparing to move to our new home soon! Oh, I need to cleanup my closet, too! I hope I can live with a few pieces of clothes. This is what I really need to do. Our cabinets are full of things that aren't useful anymore. I really hope to give time and de-clutter. I think its about time to de-clutter and used space for other stuff that we used everyday. I need to this soon maybe on my day off start off in the kitchen and move on kids bedroom. I actually told hubby this morning that we have to go over our closet and separate those that we do not use and bring it to their hometown next week. He has a lot of cousins out there that will gladly accept our used clothing. Perfect inspiration to start de-clutter the basement or the kitchen area. Its always nice that everything is in order and you know where exactly your looking for. Great post! I also have plans of decluttering this January but somehow I'm having a difficulty in finding time. So what I do is I declutter one space at a time. Many people find this hard to do because they tend to be emotionally attached to the things they own. I find it difficult especially to depart with the myriad mementos I have collated through the years, lol. But I advocate decluttering too no matter how ironic I may sound. I don't buy boxes for decluttering. I make them which is a good way to save money and lessen trash. Lol. There are plenty of boxes in the houses so I get to use them. I have those clear plastic boxes to keep my clutter somehow organized. The prob nw is ---what are the stuff I need to toss?